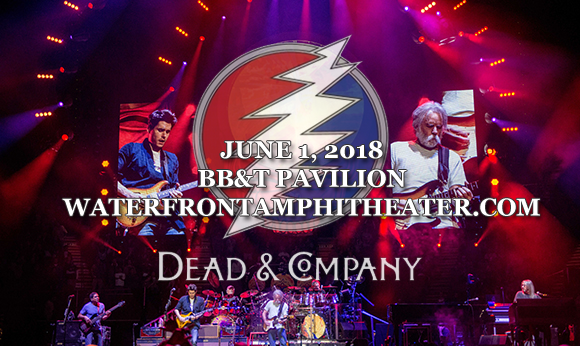 Keeping the spirit of the Grateful Dead alive and rocking, Dead & Company comes to BB&T Pavilion on Friday 1st June 2018! Embarking on their fifth tour since their inception in 2015, the hard-working supergroup will be performing for two nights in a row, with Grammy Award-winning singer and guitarist John Mayer at the helm! Enjoy psychedelia-infused rock from the godfathers of the "jam band", alongside some more of the world's most talented musicians, live! Grateful Dead offshoot and supergroup Dead & Company was formed in 2015. Consisting of Bob Weir, Mickey Hart and Bill Kreutzmann (three of the “core four” members of the Grateful Dead), multi-platinum selling Grammy Award-winner John Mayer, Grammy Award-winning virtuoso Oteil Burbridge, and RatDog band member Jeff Chimenti, the band debuted with one show at Madison Square Garden on 31st October 2015. After an incredibly positive response from critics and fans alike, the band added a further twenty-one shows and developed it into a full tour. Dead & Company have toured solidly since the band's inception and will continue to tour through 2018.